Gold and silver bullion is the standard form of physical precious metals to buy and sell. Using our in-house, live bullion quote system, we determine the most up-to-date market price for your bullion and the melt value for most bullion bars and rounds. Numismatic coins carry value based on a wide variety of factors outside their metal content or melt value. Our professionals look into condition and overall rarity to determine a fair market value. We are happy to give you an honest offer on your coins or collections, or simply appraise them so you are aware of their value. Do you have unnoticed, broken jewelry and old rings collecting dust in your home? They still have value! Our acid scratch test helps determine the precious metal content in your jewelry, and a price is based on the current melt value of the metal. 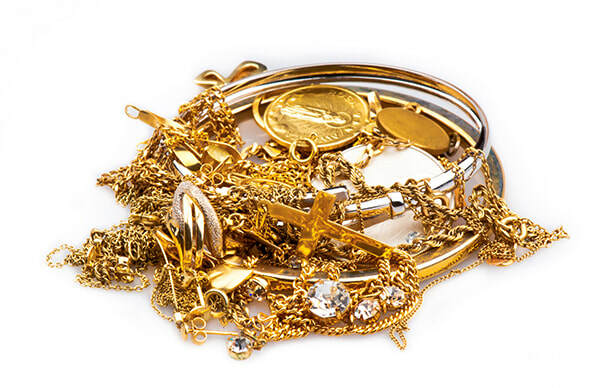 We do not accept plated or “costume” jewelry, but are glad to help you determine the value of your jewelry and scrap gold & silver. Sterling silverware is one of the most unnoticed and under rated items our customers have around their homes. 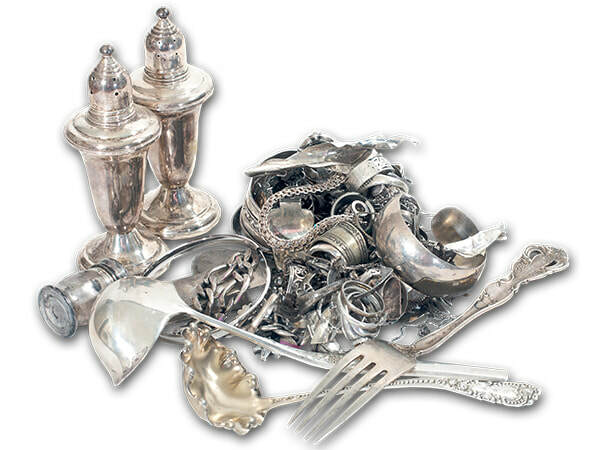 A quality collection of silverware has a good amount of value. We base our pricing by weight, so bring by your unused silverware and be surprised with the amount of cash it can turn into. If you are uncertain with your silverware, first look to see they are stamped “Sterling” or “925” and not “Plate” or “Plated”. Many items from vintage salt shakers to flatware to candlesticks may also be made of sterling silver. We are happy to help with any appraisal needs if you would like to learn more about your item’s silver content. 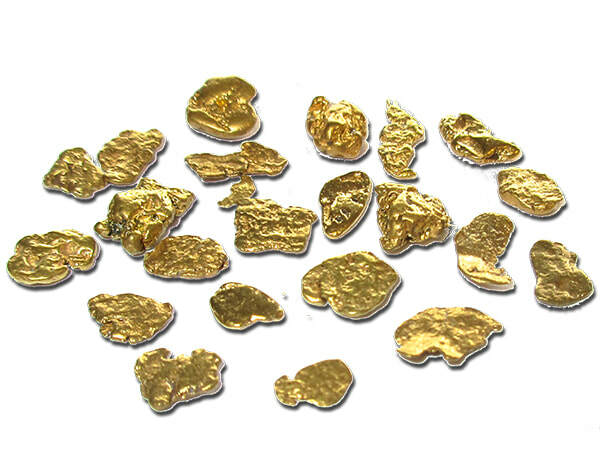 Placer gold and gold nuggets are not a thing of the past, but still in the creeks and streams of the Northwest. When you are lucky enough to find some, we are happy to be your outlet to turn that prospecting haul into cash! While you may be familiar with dental gold used in tooth crowns, you may not be aware that this gold still have high value. Dental gold is typically about 16k (67% pure). 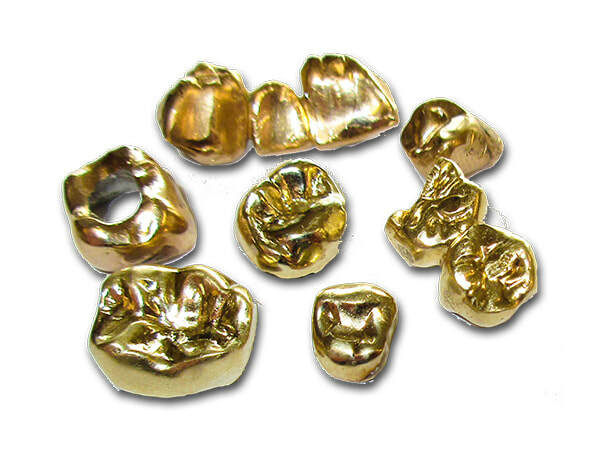 If you choose to bring your dental gold to us, we require it to be yellow in color and not white (due to purity inconsistencies), and preferably free of teeth (yet not required).